It is in the world of technology where we have almost become slaves to gadgets and modern devices. Nobody can think of living life without having some of the latest appliances. If you ask yourself, you would probably come up with the same answer; that “Technology is life, and it is indispensable”. No matter how costly and ‘full of quality’ a product you had brought for yourself is, remember that it is a “machine” which may cause glitches sooner or later. Computers, laptops or even cellphones, need an upgrade after some time. Some way or the other, you can become too confused with mechanical problems that even a human mind can’t sort everything out by itself. For such ins and outs, antivirus software is created to assist us at every step. You may end up looking at various antiviruses available on websites that promise more than they realistically can abide by. They would perhaps not bring you any closer to “error-free” systems, and all that you get is either a “hang-up” or “hooked up” state of your computer systems. I am drawing your attention towards the world’s #1 antivirus, which works like a magic wand with corrupted files and malware that computers can repeatedly be affected by. Bitdefender Antivirus Free Edition is top rated and by far the best service you can resort to when you want to rid yourself of malware. 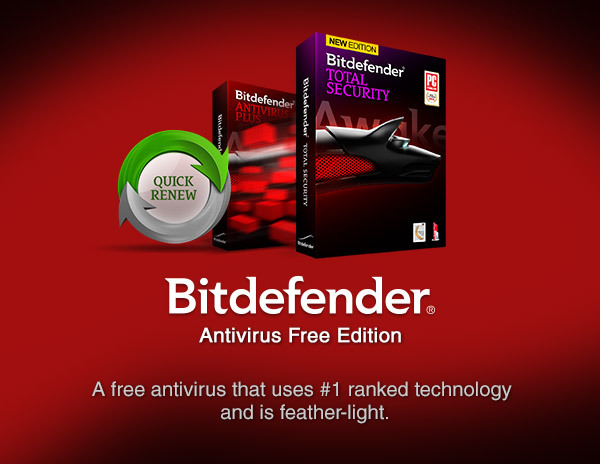 Bitdefender Antivirus has especially crafted its programs to detect, identify and eradicate all bugs in IT systems & computer devices. The company provides solid security solutions to cope with suspected viruses that affect computers. What Makes Bitdefender World Class? Bitdefender does not come with commercials that keep on popping up and distracting the user. It can get very irritating when one wants to get rid of viruses and they get held back by some intrusive ads. 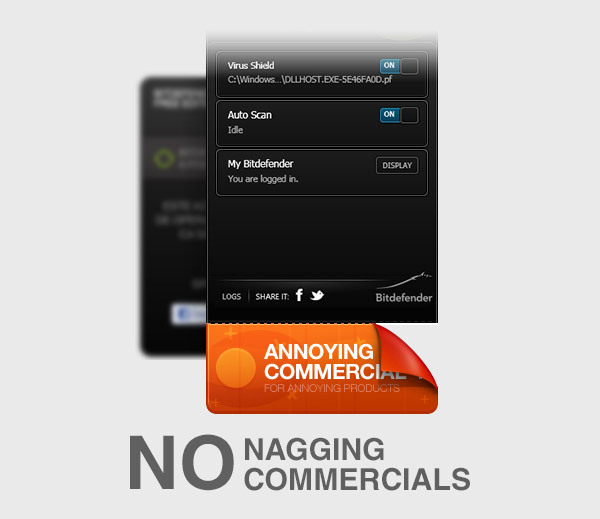 With Bitdefender, you can forget about any interferences from commercials. Bitdefender even pinpoints any viruses that affect systems, which may have been previously unknown or hidden. Bitdefender is so quick and precise in rooting out any malware, that it does not waste your time with needless prompts to “click ok” or “tick the box”. It does everything automatically, and takes full responsibility for system maintenance and cleanup, helping you feel secure and carefree in the process. You might be surprised at the way Bitdefender Antivirus Free Edition behaves – it does not weight down your systems, and it is light as a feather on your resources. The best part is that it never chokes nor perturbs the performance of your computer, so you don’t have to worry about stopping whatever you are doing when the antivirus wants to run a check-up. Being the top contender in the free antivirus race means that Bitdefender does its job silently, displaying only the information that you need to know. When you turn it on, it takes up very little space in the lower right corner of the screen, and doesn’t flood you with any excessive technical details. What Makes Bitdefender Antivirus Matchless? Bitdefender Antivirus Free Edition is absolutely free of any charge, updates regularly and behaves very aptly with latest Windows 8. Because it is so light on resources and non-intrusive, it is the best antivirus solution for gaming. You can always halt any system scan by hitting the “Quit” button to improve the overall computer performance. The installation of this program is a piece of cake. You don’t even need to be particularly technically savvy, as it is very easy to install by following a series of on-screen prompts. Bitdefender Antivirus Free Edition has some tremendous technologies behind it, which, in many regards, manage to outshine other competitors like AVG, Avast or Avira. By entrusting Bitdefender with the security of your computer, you know you’re in the good hands of a reliable brand with over a decade of experience in combating viruses and malware. Bitdefender relies on super-fast technology to protect systems from potential viruses coming from the outside. The real time shield is intended to shelter the whole computer system from infected files that can potentially erupt from any internet source. It is, in essence, a silent guardian that is active at all times. Bitdefender is very quick to identify and isolate threats. It will then remove any and all traces of said threats, making it seem as though nothing had ever happened. Intrusion Detection is a functional feature that responds to malware that us posing as a legitimate application. Whenever a potentially intrusive application performs in a malicious way, it halts them when they seem to get out of hand. This is an intelligent technology that analyzes the behavior of safe apps, and then uses that information to determine whether other apps are functioning properly. If no glitches, errors, viruses or other nasties are detected, B-Have will initiate the program. Otherwise, it will automatically isolate or delete any invasive stuff. 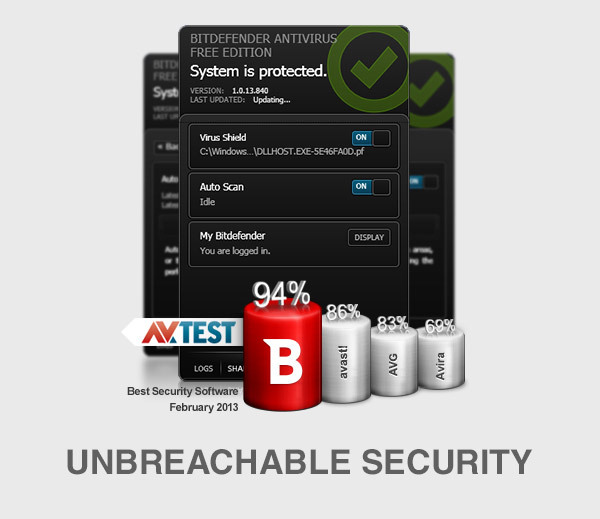 That’s one striking feature of Bitdefender Free Antivirus! Bitdefender Antivirus Free Edition quickly scans all the links you access from your browser and stops them when they seem to be dangerous or behave in an unsafe way for your systems. This feature scans the system at boot time, when all potentially risky services are loaded. Early boot scanning locates any malware at system startup, along with providing improved boot time. Nowadays, we are always pressed by time, and every one of us wants a quick way to sort out problems. Auto Scan works in the background, and can intelligently dedicate resources to problematic areas. In a nutshell, Bitdefender Antivirus Free Edition is an excellent and trustworthy product. If you were undecided on what antivirus to try out, I am hopeful that this review can help you settle on this particular antivirus. Bitdefender provide quick rehabilitation to any corrupted files and improves your computer’s performance, while keeping you safe from potential online scams. Save yourself the frustration, get Norton, or just use the firewall and anti-virus that come with Windows these days. Either option isn’t terrible, and either is certainly better and less naggy than BitDefender. Actually, Kevan Massey, the other commenter is not an idiot. I’m also experiencing more and more frequent unwanted popups. It has become more and more of a pain in … It used to be like one-ish per day. Today it’s been every few seconds. Evidently something has made it increase. But I’d have to concur with the idea that Bitdefender is annoying. I’m about to rip this program off my computer.